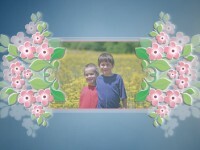 The Spring Bonus Freebie includes two slide styles and one transition. Both Standard (4x3) and Widescreen (16x9) formats are included. Hi Mona Good morning .. Thank you very much for the gift from Freebie Spring. Is very beautiful, like everything you do. Thanks for the Spring Freebie. As always they are great. Mona, thanks for the Spring Freebie. It's neat! Thanks so must for the Spring Freebie. Good job. I am enjoying all the styles that I have gotten from you. When I need a special styles, you come up with it just at the right time. Thank you guys ! Thank you also for the many emails that I received ! I'm happy that you like the freebie.